In accordance with the SEC Regulation S-P, Wilson-Davis & Co. Inc. is disclosing the following information to the general public. Wilson-Davis & Co., Inc. does NOT disclose or want the right to disclose any non-public information to any third party unless required by regulation or law. Wilson-Davis & Co., Inc. is committed to protecting the information and privacy of our customers. The following statement discloses in some detail the information we collect, and the policies governing it's use. We encourage you to read the entire statement to learn more about the ways we protect the information we collect. This policy applies to all branch offices of Wilson-Davis & Co., Inc.
Wilson-Davis has established procedures to review the information for completeness. 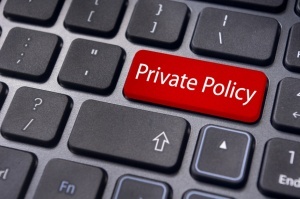 Wilson-Davis has policies and procedures to protect the information we collect and store. Wilson-Davis takes the security of information very seriously. We maintain physical and electronic safegaurds, and limit access to information to only those employees with a business reason for accessing your information. We adhere to the same standards and procedures for former customers of Wilson-Davis.